Here are 4 new resources for you as parents to help know what to say when a difficult moment, tragedy or crisis happens in your family, community, and/or to your youth. These are helpful one page guides for different ages to help you respond in a loving, listening, compassionate and confident way. You can also find access to these downloads at any time under the Ebooks and Other Resources tab on the menu bar. We also have a few copies at the church, if you would a copy of this book for free, please get in touch with Jay. Here are some practical ideas from The Parent Cue to help you cultivate a deepening faith in your teens. I grew up as a preacher’s kid. 1. They wanted me to read the Bible. 2. They wanted me to memorize Scripture. So they did what any sensible parents would do to develop those habits in me . . .
• They paid me every time I read through the Bible. • They paid me every time I memorized a Bible verse. • And they paid me every time I read a Christian book. Yes, they did this even when I was a teenager and was desperate for gas money for my Volkswagen Jetta! It must’ve been because they had so much money. Nope. Look back at the first line: I grew up as a preacher’s kid! My parents wanted me to know God better. They did things that a lot of parents do: they made me go to church, and they prayed with me before school in the morning. But ultimately, they understood that there were some tools I needed that were bigger than listening to someone pray or teach a lesson (although both of those are great). Now that I’m a parent, I make no judgments on their decision. 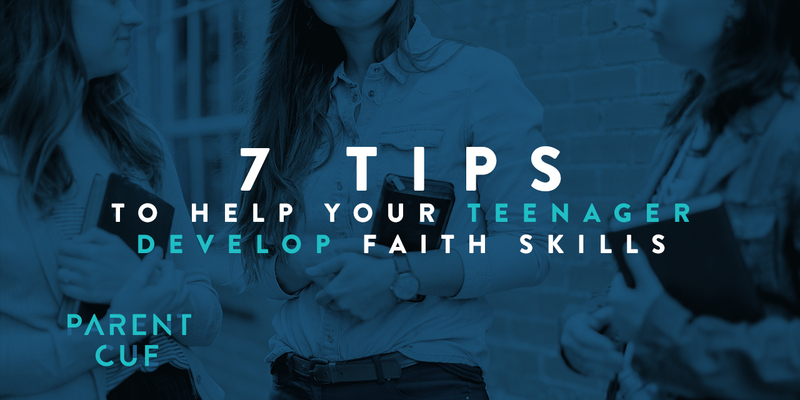 But for the sake of this blog, let’s talk about some other ways we can develop faith skills in our teenagers (Although, if you want to bribe them with cash and skip the rest of this post, be my guest!). 1. It’s difficult for us to develop and maintain these habits in our own lives. There are some of you reading this who’ve never ever missed a day of praying or reading your Bible in your entire life. That’s awesome! For the rest of us, there are seasons where we’re killing it in this area, and seasons when we ride the struggle bus. 2. It’s a tough sell. I’ve spent A LOT of time working with teenagers. And trying to convince a teenage guy to pray to an invisible God or read a hard-to-understand book instead of video gaming, playing any sport, or simply napping . . .
Yeah, that’s NOT an easy sell. No, really. It’s not. I tell you these things to take some pressure off of you thinking your teenager will become an overnight theologian. And also because I want you to eliminate the idea of thinking you can nag and pressure your teenager into becoming a highly-motivated pursuer of faith skills. Whether your child is 17 or 7, there’s going to be a greater chance of them stepping up and praying, reading their Bible, and worshipping when they see it as something you do (and actually enjoy!). Be honest with them about your own inconsistency in this area. But also let them know how it’s helped your life. 2. GIVE THEM A RESOURCE THAT MAKES SENSE TO THEM. This is the reason why I’ve written devotional journals like Know God and Live Free. It’s because I want teenagers to have a guide to acquiring faith skills in a way that makes sense to them. As a teenager, I couldn’t sit down and read the Bible. I didn’t understand it. It didn’t make sense to me. It was boring, and I desperately wanted to fall asleep. When I actually did read the Bible, I didn’t remember any of it. Not a single word. I’m not saying every teenager is like I was. I’m just saying that if you met me when I was 15, you would’ve said there’s no way this kid is ever going to develop any faith skills. As a 19-year old, I got a devotional journal at a Christian summer camp. For the first time in my life, I was guided in my personal time with God. It allowed me to actually stay focused, engaged, and connect with God. I loved it because I actually understood it! I am forever passionate about devotional journals as a way of getting teenagers engaged because that’s how I got started. 3. PARTNER WITH A STUDENT MINISTRY. If a student pastor has introduced a plan for any type of faith skill development—and it’s something your teenager’s student ministry is currently doing—jump on board with that! Don’t encourage a competing plan. Don’t guilt or put pressure on your student pastor if he or she doesn’t have a plan for this. But if they do, align your family with it. That’s the power of unified energy that comes when churches and families get on the same page! 4. DON’T PUSH TOO HARD. Just encourage. If you’re a mom, your teenage son responds to your encouragement more than your pressure. Sure, there are times you need to be “don’t-argue-with-me” strong. But save that for homework, respecting authority, and being nice to siblings. When it comes to faith skills, stay on the positive. Talk about benefits and encourage them to be recipients of them. If your teenager says, “I read the Bible, but it was so boring!” don’t freak out. Don’t react like, I CANNOT believe you said that about the holy Bible!! Like I said, I felt that way about the Bible as a teenage dude. Relax. Let your teenager know that he or she can be honest with you about all things faith-related. That will encourage them to continue to be honest with you in the future. I’ve been working with teenagers since 1998. They’re all unique. Which means they all have unique ways of worshipping, connecting with God through prayer, talking about their faith, etc. It’s part of their distinct wiring. To expect every teenager to get the same amount of energy and passion around knowing God the same way is simply ridiculous. No other relationship works that way. Faith skills shouldn’t, either. 6. PRAY, THEN PRAY AGAIN, THEN PRAY SOME MORE. Again, this is the work of God through the power of the Holy Spirit to stretch your teenager son or daughter’s faith. It’s going to be His job, not yours. • You should talk about it. • You should model it. • You should encourage it. It’s just one of those things that HAS to be the work of God. And your best move is to continually put that before God as an urgent request. 7. BE READY WHEN THEY’RE READY TO TALK. Every teenager is different. But most teenagers aren’t volunteering authentic information to their parents. You ask, “How was your day?” They say, “Fine.” There’s a reason why parents stalk their teenagers on social media: we want to know what’s going on in their lives! But there will be rare, random moments when your teenager opens up. It may happen when you’re distracted or ready to go to bed. But those are the moments when you need to be ready. So prepare ahead of time for those random moments. And when they happen, cherish them and engage with all your heart! Through my work with anxiety both personally and as a therapist, I have found some specific responses to be helpful, so I want to pass these suggestions on to you. You have a vital role in helping teenagers who are struggling. As a first word of caution, however, there are circumstances where anxiety is so severe that someone must be hospitalized or put on medication. What I’m going to share with you here are ways to help those who are anxious but not in need of immediate medical care. As you work through this guide, hopefully the exercises will help give you the confidence to discern when you can help and when you need outside assistance. When it comes to adolescents and anxiety, you may be a first responder on the front lines. How you handle anxiety when it arises may set the trajectory for how that adolescent works through anxiety, or if they choose to do so. For most teenagers, talking about their anxiety is a very scary thing, and depending on how they are being raised and the culture they inhabit, there might be all kinds of barriers to talking openly. Start with: Begin by communicating that it’s okay to have anxiety. I encourage you to literally say to an adolescent, “I am creating a safe space for you, and giving you permission to talk about your anxiety.” This kind of permission can be a key to unlocking a lot of the negative assumptions and fears teenagers hold around anxiety. Advanced tactics: Normalize anxiety by sharing your own struggles or inviting others in the community to share stories about their anxiety. If you have a hard time finding someone to share, I recommend bringing in someone from outside your ministry like a local therapist to help break the silence. My mentor, marriage and family therapy pioneer and Fuller professor Dr. Terry Hargrave, helped me understand very clearly that anxiety is typically a response to a deeper underlying feeling. Anxiety is less of a feeling, and more about how we cope with feelings that we are often unclear about, or too afraid to confront. Distinguishing anxiety as a coping behavior rather than a feeling is critical. Don’t get stuck focusing on the symptom (anxiety), but help the adolescent explore the underlying issues that may be perpetuating anxiety. It’s when you identify the root issues that true healing can begin to take place. Start with: Sometimes teenagers need help finding the right words to articulate what they are experiencing. Use a handout of feeling words that you can give an adolescent to look through and see if they can name more clearly what they feel. This identification helps them understand themselves better, as well as helping you understand their experience, which increases a sense of safety and trust in the relationship. Advanced tactics: Take a stack of 3×5 cards and write down one feeling word on each card. You will want about 20-30 cards. Lay the cards down on the ground, spread out from each other at a good distance (ideally a foot or more). Invite the adolescent to walk around and through the cards and pick up which ones they resonate with the most (i.e., which ones create the feeling of anxiety in them as they look at or walk by the word). Then use those words to help open up a conversation. The physical movement and tactile nature of this exercise can be very helpful. Normalizing and identifying anxiety are important first steps, but adolescents also need tools to assist them in managing anxiety. And though tools are vital, I often have found that adolescents (especially younger ones) have a hard time using tools on their own, especially if they are too complex. Self-care is an important tool in the management of anxiety. For example, when an adolescent is doing something physically, it helps release positive chemicals in the brain, offsetting some of the more negative ones. When an adolescent is emotionally connected, they tend to feel less isolated and alone, and there is less of a chance they will have to deal with anxiety by themselves. When an adolescent finds something positive to mentally engage, this can be helpful in finding purpose and in switching focus from the negative messages of anxiety. And when an adolescent takes care of themselves spiritually, they are often able to place themselves in a larger narrative than their own, which is key to keep from being swallowed up by the focus on self that anxiety often perpetuates. Advanced tactics: Sit down with an adolescent and perform a self-care assessment by drawing four columns on a piece of paper. Label them from left to right: Physical, Emotional, Mental, Spiritual. One column at a time, help the adolescent identify as many things they could be doing to foster each area of their life. Look at the list together and narrow it down to just one activity or practice in each column that they feel the most excitement or energy to focus on. Meet weekly to help keep them accountable and inspired to work on self-care and soul care. Most teenagers I work with have been raised to believe that anxiety is a bad thing, something to be avoided at all costs. Many great thinkers on anxiety from Søren Kierkegaard to Rollo May have argued that though anxiety can have debilitating effects on our lives, ultimately it can also provide us with great insight and lead to transformative change. Kierkegaard has written that “anxiety is the dizziness of freedom.” And what possibly produces more anxiety than being in adolescence and having to navigate all the freedom and choices new to a young person’s experience? Advanced tactics: Try leading the young person in an exercise where they interview their anxiety. There is no “right” way to do this, but the act of depersonalizing anxiety away from themselves and asking questions of their anxiety like, “Why are you here?”, “What do you want from me?”, “What can I learn from you?” “Where is God in the midst of this anxiety?”, are super helpful in making it friendlier, and the process itself can sometimes lead to answers and next steps for the adolescent. I have come to realize more and more in my work as a therapist that insight alone is not enough. It’s not enough to simply know that we are anxious, or that a certain underlying feeling is the trigger for anxiety. We have to take that insight and put it into practice, and when we do that, I believe we will see the transformative change we are looking for. Psychologist Angela Duckworth, in her book Grit: The Power and Passion of Perseverance, describes the role “deliberate practice” plays in cultivating change. I have seen that when adolescents practice working with and through their anxiety, they experience more victory over it. Start with: Help an adolescent identify a specific area of life where they have anxiety. Then explore with them if there are some specific and tangible “baby steps” they can take to face the anxiety head on. Plan those steps out together, and encourage them to experiment with each one. For example, since anxiety can be socially isolating, I might encourage something like this: 1) Walk through a busy part of campus (hallway, cafeteria, etc.) and simply notice what they feel and think. Don’t do anything else for a couple of weeks. 2) Then I might encourage them to find just one person they know and strike up conversation with them. Try this over a few weeks. 3) Then as that friendship develops, I might encourage them to share just a little with that friend about what they are struggling with in terms of anxiety. You could go through a progression of steps like this with many topics, such as anxiety around giving a speech, or trying out for a team, or for feeling overwhelmed with homework. The more you know a teenager, the more you will be able to speak specifically into their experience. The key is to keep the teenager from isolating themselves and letting anxiety take over their day-to-day experience. Instead, look for small, achievable experiences that work in helping the adolescent face and work through their specific anxieties. Advanced tactics: Teach the young person to walk through these steps when they feel anxious: a) Say what you feel: e.g., “I feel inadequate.” b) Say what you normally do: e.g., “I normally become anxious.” c) Say your truth: e.g., “The truth is that I’m capable and have what it takes.” d) Say what different action you will take: e.g., “I am choosing to face my fears and have this difficult conversation/apply to that school/end this relationship/try out for this team.” This practice brings awareness to the automatic processes in our brain and body, and by bringing attention to these processes, helps us emotionally regulate and position ourselves to make a different, healthy choice. (And again, I’m indebted to Terry Hargrave’s restoration therapy model for developing this process). Should You Make Your Kids Go To Church? 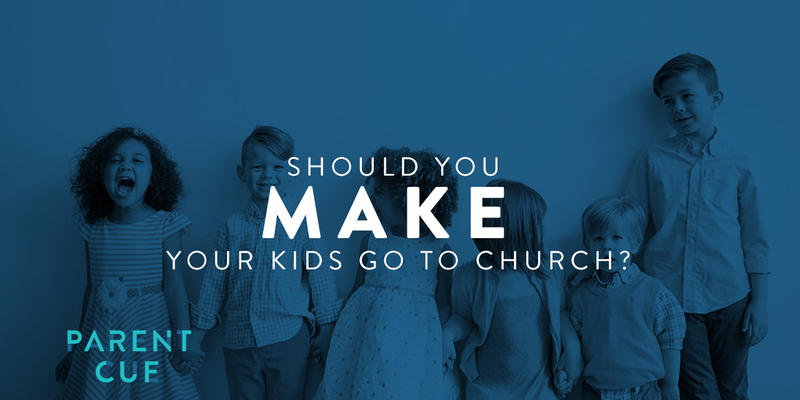 Should you make your kids go to church? This is a question many parents and people who work with youth constantly ask. There are not easy answers and there can be fear with either answer of yes or no. This article offers some food for thought and some positive ways to frame this question. I recently read an article about a family who loved to hike. Actually, not all of them loved it. One son shared how every weekend, rain or shine, he was forced to put on his hiking shoes (yes, forced) and he was loaded into the family car for what he described as a boring, wasted day of tramping in the woods. He said the numerous pre-hike conversations with his mom went like this. He did put his shoes on, but not without griping about it. As he hiked, he dreamed of the day when he could make his own decisions and told himself he’d never hike again. He went on to tell how he’s out on his own now, and guess what? He loves to hike. He says hiking is one of his favorite things he gets to do on the weekend and he goes as often as he can. This story makes me wonder if the words I told you so ever pop into his mom’s mind. It also makes me stop and consider the somewhat nebulous power of my influence as a parent. As my kids got older (and more opinionated), I often wondered what we should insist on versus what they got to decide. Things like brushing their teeth and going to school were easy (okay, easier) to insist on out of a healthy respect for cavities and detention. But what about things like going to church or participating in youth group? What about even deeper subjects like what they believed about God and faith? But then our daughter turned thirteen. Geoff and I had some serious discussions. If we make her go, will she end up hating church? We’d both been brought up in church and could relate to not always wanting to go. We also knew families where they had forced their kids and now as young adults, they didn’t want anything to do with it. 1. WE TRIED TO INSPIRE INSTEAD OF NAG. Geoff and I love great worship music and great preaching, and thankfully we were at a church with both. We often talked with our kids about the teaching we heard at church and how it stirred our hearts. We talked about how worship connected us to God. We told stories about the fun and friendships in our small group, and we often hosted group at our house. We wanted our kids to see what church meant to us and how it formed our relationship with God. 2. WE REQUIRED, BUT WE ALSO LET THEM CHOOSE. What mattered most to us about church was that our kids were exposed to adults who loved and worshipped God. This wasn’t something we were willing to let go of for our daughter, but we let her choose where these relationships would be. Would she rather go to the large mid-week group or be part of a girls’ small group? We let her decide. 3. WE LEANED INTO OTHERS. Brittainy’s decision to go to small group turned out to be a game changer. She had a leader who remembered what it felt like to be in middle school and didn’t shy away from talking honestly about it. She shared how she remembered sometimes feeling lonely in middle school, but how she woke up every day and reminded herself of God’s love for her. She talked about how reading her Bible and what it meant to pray and know that God heard her. I wish I could say that my kids’ faith and character were because they had great parents. But I think it was because they had great small group leaders. If you’re reading this and your kids are rolling their eyes or balking at church or faith, you’re not alone. We can’t force our kids to love God, but maybe we can inspire them. Whatever it feels like today, don’t give up. Whatever it feels like today, don’t give up. Lean into other leaders and don’t hesitate to ask for help. Show your kids that while their opinions may change, your love and support for them won’t. Nearly one-third of American adolescents and adults are affected by anxiety, according to the National Institute of Mental Health. It’s the most common mental health disorder in the country. And when it comes to teens, severe anxiety is becoming more crippling each year. In fact, over the last decade, anxiety has surpassed depression as the most common reason college students seek counseling services, the New York Times reported. The data comes from the American College Health Association’s 2016 survey of students about the previous year. Sixty-two percent of undergraduate students in the survey reported “overwhelming anxiety,” a significant increase from 50 percent in 2011. A separate survey from the Higher Education Research Institute at the University of California, Los Angeles, asks incoming college freshman whether they “felt overwhelmed by all I had to do” during the previous year. In 1985, when the institute began surveying students on the issue, 18 percent said they felt overwhelmed. By 2010, 29 percent said they did. And in 2016, the number jumped to 41 percent. And since 2012, the Washington Post reported, the Boys Town National Hotline has seen a 12 percent spike in teens reaching out via calls, texts, chats and emails about their struggle with anxiety, depression and suicidal thoughts. The rate of hospital admissions for suicidal teenagers has also doubled over the past decade. Recent data from the Atlanta-based Centers for Disease Control and Prevention mirrored a national trend in suicide rates across the board. But the research found suicide rates among 15- to 19-year-old girls doubled between 2007 and 2015, reaching a 40-year high. That means for every 100,000 American girls in 2015, five committed suicide. For teen boys, the rate rose by more than 30 percent. Anxiety, along with depression, cuts across all demographics, including both privileged and disadvantaged teenagers. But privileged teens are among the most emotionally distressed youth in America, Arizona State University psychology professor Suniya Luthar told the New York Times. But helicopter parents aren’t always to blame. Many students internalize the anxiety and put the pressure on themselves, Madeline Levine, co-founder of Challenge Success, a nonprofit aimed at improving student well-being, told the Times. Another expert, psychiatrist Stephanie Eken, said despite the cultural differences, there’s a lot of overlap among teens regarding what makes them anxious. Eken mentions factors range from school, family conflicts, what food to eat, diseases, how they’re perceived by friends and notably in the last few years, Eken told the Times, to a rising fear about terrorism. “They wonder about whether it’s safe to go to a movie theater,” she said. A lack of close, meaningful relationships is also a major factor. Experts have long said hormonal, mental and physical changes associated with puberty may leave teens especially vulnerable to anxiety, depression and other mental health disorders. And social media doesn’t help, Eken said, adding that teens are always comparing themselves with their peers, which leaves them miserable. Still, Simon acknowledged that cyberbullying can greatly impact vulnerable youth. According to the Anxiety and Depression Association of America, 80 percent of kids with a diagnosable anxiety disorder are not getting treatment. And anxiety disorders are highly treatable. While anxiety can be a normal reaction to stressful environments and situations, there are specific symptoms associated with anxiety disorders. Generally, someone with anxiety disorder would have fear or anxiety that is out of proportion to the situation or inappropriate for his or her age. The anxiety would also affect normal day-to-day function. Two questions parents should ask themselves: Is my child more shy or anxious than others his or her age? Is my child more worried than other children his or her age? According to Lynn Miller, an associate proessor at the University of British Columbia, those questions can help predict a child’s potential of developing an anxiety disorder. If you notice overwhelming feelings of anxiety in your child, the ADAA suggests seeking help and talking to a professional. While antidepressants and anti-anxiety medications can offer relief from symptoms, they’re not treated as cures. Instead, talk therapy is often recommended. Our hearts our broken by the recent mass shooting in Las Vegas. Here is a helpful article that can help you as parents discern how best to process this tragedy with your children. The sinking feeling is becoming all too familiar: When mass shootings occur, parents have to figure out how to talk to their children about violence. “First, you have to process your own emotional response. What you do will affect them more than what you say,” she says. “Have your first reaction away from your child. Here is an article from The Washington Post about teens putting off traditional markers of adulthood. rock-climbing or talking about books. tried alcohol, who date, and who work for pay has plummeted since 1976, with the most precipitous decreases in the past decade. seniors had gone on a date; between 2010 and 2015 only 63 percent had, the study found. plunged from 76 to 55 percent. And the portion who had tried alcohol plummeted from 93 percent between 1976 and 1979 to 67 percent between 2010 and 2016.
percent in 2015, according to Centers for Disease Control statistics. in today’s society, they no longer need to. unpredictable” environment leads to faster development, while a more resource-rich and secure environment has the opposite effect, the study said. based on procurement of resources,” the study said. the use of smartphones and the Internet be entirely the cause, the report said, since the decline began before they were widely available. teens centered evening activities around procuring and drinking alcohol sounded mystifying. have codified this, banning children from going out in public or staying home without adult accompaniment. their brains to adapt to a society that has changed since the 19th century. responsible till your late 20s,’ well then the brain will respond accordingly,” he said. With fewer career paths available to those without a college degree, she said, young people can no longer afford that kind of non-chalance. Chiara Power, 15, of San Juan Island, WA, has no interest in dating, driving, working for pay or drinking alcohol – and the rising costs of college keep her up at night. Sunday Worship @ 8:15, 9:30, and 11:15. See church website (under about section) for children's and youth opportunities.